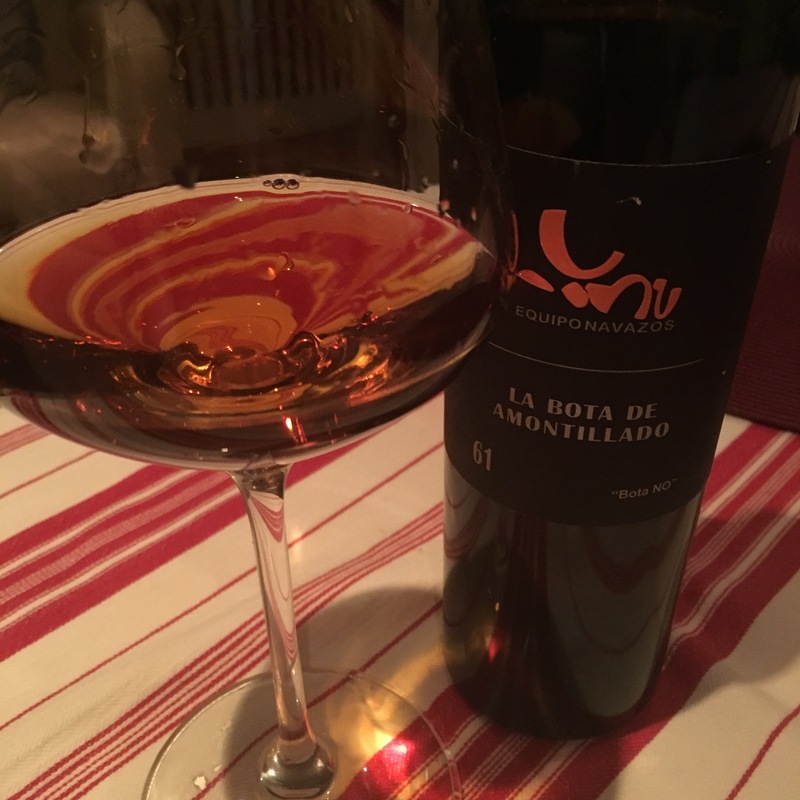 Another exceptional wine by Equipo Navazos and a beautiful old Sanlucar amontillado by anyone’s standards. The second time I have had this one and I can see why I bought another (from the guys at Coalla Gourmet). I was inspired to taste it again – in part by my recent brushes with Sanlucar amontillados and olorosos, and in part because my kiwi mucker Erik Burgess has apparently been at dinner tonight with the great JB, but what put the thought in my head was really a brilliant solo tasting session by Victor de la Serna. A gorgeous colour of old crystaline old amber, a polished wood nose and then a massive palate. Saline not excessively so and slightly more juice and tobacco than in some of the classics (still not a lot by way of sweet notes but a flavour like jammy wood nevertheless). A quite unbelievably long finish to it. I have written all this since my first sip – with my thumbs on an iphone – and the flavours are still there. In fact it seems like my head is full of spicey gas – wine with the cigar incorporated. Serious wine, flavourful but elegant too.